St. John’s Painters is the painting company to call when you want your painting project to be handled by the most competent professionals. We offer the painting services St. John’s NL has trusted for decades. Anytime you give us a chance to paint your building, we take it as an opportunity to show you why we are the preference of property owners. ​We focus on making your building look and feel better. What’s more, we make sure that you get the best value for every cent that you spend on our service. Need Help Finding An Excellent Painter? ​Give us a call today! Residential & commercial, we deliver only the best. ​There are many reasons why you should hire the painters St. John's residents have relied on for decades instead of doing the painting job yourself. Our team comprises of highly trained and experienced painters. These have the expertise and equipment required to handle any challenge that arises during the painting project. ​We know how to handle any painting project from the beginning to the end. We know when it’s right to use caulk in tiny holes or power-wash the exterior before we paint it. We are a team of friendly professionals that will answer any question that you might have regarding our services. ​After painting your building, we will inspect the work carefully and wait for you to confirm your satisfaction with our service before we leave. Anytime you need experts to paint your building, just give us a call and we will offer you an excellent service within your timeframe. Essentially, when you engage a professional service you are guaranteed exceptional results. Your home is an important place for your family. This is where you all go to relax after a long day at work or school. It’s also the place where you entertain visitors. As such, you want your home to always feel and look great. You want it to have an awesome curb appeal and fantastic interiors. Our painting crew wants to help you give your home the look that you desire. We have vast experience in painting stucco, brick, vinyl siding, and doors among other parts of a residential building. Add a fresh paint coat on the exterior of your house to boost its curb appeal. 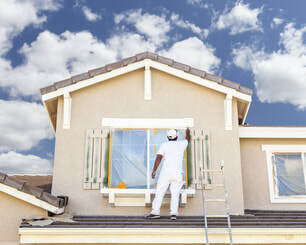 Painting the exterior of your home will also protect it against nature elements. 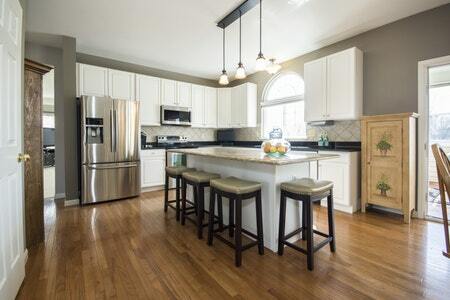 ​Whether your goal is to boost your kitchen or make the master bedroom more vibrant, we can help you. We can also assist you in brightening the bedroom of your child. Just call us anytime to discuss your house painting needs with the most competent professionals in the industry. ​Do you want to transform the look of your commercial property? If yes, talk to the leading commercial painting contractors. We have painted many hotels, conference rooms, restaurants, condominiums, and industrial buildings in St. John’s NL for decades. Whether you want to give your commercial establishment a look that will draw new customer or brighten the storefront, we are here to help you. Give your customers and clients a more professional and relaxed atmosphere by painting your commercial building. Call us now to engage services of the painting contractors St John’s has trusted for decades! ​We have been delivering amazing painting services for many years. We possess the necessary experience, knowledge & proper resources to make your project a huge success. We approach our craft as an art and our company does not settle for anything less than perfection. ST. JOHN'S PAINTERS Copyright © 2018. All Rights Reserved.